Two Worthing men have been charged with conspiracy to commit criminal damage in connection with a number of graffiti incidents. Adam Norman, aged 26, of Ashdown Road, Worthing, and Dovydas Butkus, aged 20, of Harlech Close, Worthing, were charged earlier this month with one count of conspiracy to commit criminal damage between February and April of this year. The charges are in relation to a number of incidents of graffiti across the Southern Rail network, which have caused £72,000 worth of damage. 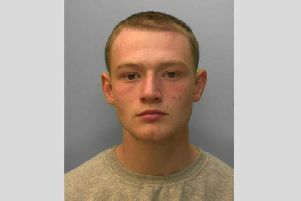 Both men were bailed to appear at Worthing Magistrates’ Court on 4 October.